I’m not complaining (well, not much, anyway), as this indicates that our home business is doing better. But still… I can’t help but long for the hours when we got to spend a lot of time during the day at home together, and the lunch or dinner dates of “just because” occasions. I am a woman, you know. I may be very practical (sometimes even to the extent of being called “totally un-romantic” by my friends), but sometimes it’s hard not to be lonely here at home even with our hyperactive Shih Tzus running about. Work stress, topped with occasional bouts of loneliness, hasn’t really been good to my temper during the past few weeks. Our friends can attest to this: my husband is as practical as I am… and probably even more “un-romantic.” :p Just think of it this way… I got Facebook flowers instead of real ones for Valentines’ Day, because, as he said, “it’s the thought that counts!” But he does leave me surprises (like tangible surprises) every now and then — that’s my Marc for you, he can be quite unpredictable. I was feeling cranky last Monday, so many things to do and Marc had to ask me to be the one to feed the dogs their dinner. Imagine my excitement when I saw that little black box lying innocently on top of the dogs’ food container. Jewelry? No, it’s not what you think. 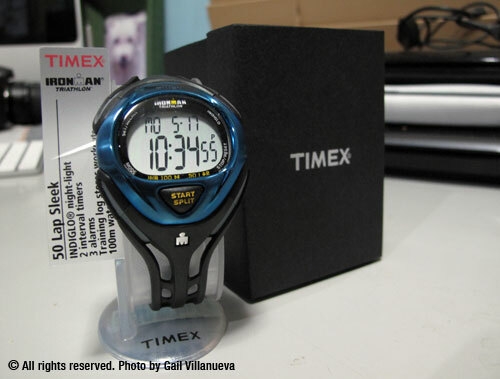 It’s a Timex Ironman Triathlon watch!!!!!!! WEEEEEEE!!!!!! 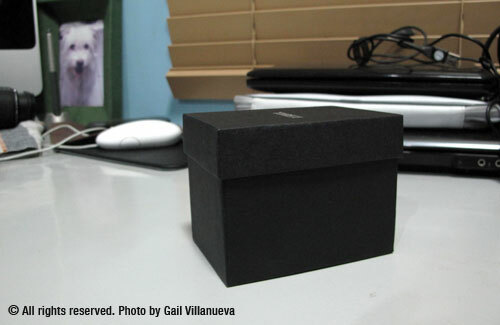 This entry was posted on Wednesday, 19 May 2010 at 12:47 pm and is filed under Gadgets, Musings.